The Harlem rapping artist, A$AP Ferg will headline the Fonda Theatre on Saturday, November 16. As a young man, Ferg began his career in the fashion and jewelry industry where he worked on a couple of projects, while at the same time attending art school. With the encouragement from longtime friend, A$AP Rocky, A$AP Ferg left the bling behind (well, kind of) and focused on rapping along side the A$AP Mob. Even as A$AP Ferg transitions from one goal to the other his focus of succeeding never fails him. This year he was able to release his debut album, Trap Lord, featuring the singles “Shabba” and “Hood Pope”. Join him and A$AP Mob, who will be there to support him in addition to Joey Fatts and Aston Matthews, and 100s. Tickets are $25, doors open at 8 PM, show starts at 9 PM and the event is all ages. You can purchase tickets by clicking here or try and win a pair of tickets with us by entering the contest below! First make sure you’re following Grimy Goods on Twitter here and/or “like” our Facebook page here. Next, email ggcontests@gmail.com with your full name for guest list and a clever reason why you want a pair of tickets to A$AP Ferg at The Fonda Theatre (be sure to include the venue!) When you’re done with your email, send us a Tweet so we know you entered the contest or you can post on our Facebook wall. We’ll select a winner that has done all of the above mentioned. Winners will be announced via email, Facebook and Twitter on Wednesday, November 13. Winners will have until 10 am Thursday, November 14 to reply back to our email and confirm their win. FACEBOOK: Just leave a comment on our wall letting us know you entered our contest for tickets to A$AP Ferg at the Fonda Theatre on 11/16. 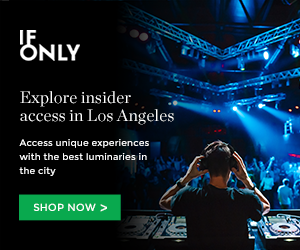 This entry was posted in Concerts & Events, Giveaways and tagged 100s, ASAP Ferg, ASAP Mob, free, giveaway, goldenvoice, Joey Fatts and Aston Matthews, the fonda theatre, ticket giveaway, tickets contests, win on November 11, 2013 by Brissa Sanchez.